Voyage Care (formerly The Independent Living Group (ILG)) provides support for adults with learning disabilities, Huntington’s disease, Acquired Brain Injury, communication difficulties and other complex needs. The group operates residential care homes across Hampshire, East Sussex, West Sussex and Kent with an emphasis on encouraging independence among its residents. 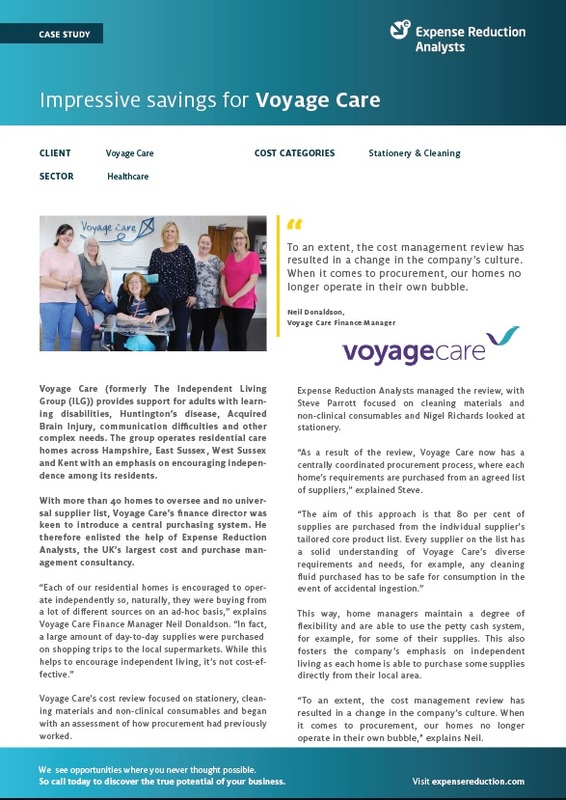 To find out more about how ERA helped Voyage Care, including results, savings and more details from the client, download the full case study now.